When Mark Cavendish was a pro rider in his first few seasons, there was something that he couldn’t get his head around. The Manxman started his pro career as he meant to go on – winning bike races. Lots of bike races. The winning came easily. An incredible turn of speed, a gung-ho team behind him with nothing to lose and an unquenchable desire to win, quickly made him a regular on the top step of the podium. But the thing that he couldn’t get his head around wasn’t to do with his results, his ability or his team. It was why his friend and old British Cycling Academy team mate Geraint Thomas wasn’t winning too. Only separated by one year, Thomas and Cavendish raced against each other throughout their formative years. While Cavendish was partially sidelined by a British Cycling coach who didn’t rate him, Thomas won junior Paris Roubaix and a world title on the track. After their time together on the academy, both turned pro in 2007 – Cavendish for T-Mobile and Thomas for Barloworld, a team with a drastically lower budget. They both lined up at the start of the Tour de France in London in 2007. On that sunny day in central London, Thomas finished 45th and Cavendish 69th in the prologue, respectively 47 and 52 seconds down on winner Fabian Cancellara over the 7.2km course. Cavendish pulled out of that year’s Tour on stage eight through the Alps while Geraint Thomas, the youngest rider in the race at 19, battled through to Paris to finish 139th out of 140. At that point in his career riding the Tour was a test. With the 2008 Olympics on the horizon Thomas was focused on the track and hadn’t decided where his road career would take him afterwards. During that Tour there were times when it was touch and go. On one stage through the Alps he was dropped early on and spent the whole day chasing the autobus with just a gendarme on a motorbike for company. That gendarme was so impressed by Thomas’s ride that day that throughout the rest of the race he would look out for the Welshman and enquire as to how he was getting on. Cavendish was advised to pull out of the 2007 Tour before it got too much for him by then Academy coach Rod Ellingworth, while Thomas was advised to ride on. Ellingworth knew his physiology, and he knew that Thomas could soak up the work-load. The following year Cavendish won four stages while Thomas took a different, low key, path. After winning the team pursuit world title in April, he rode and finished the Giro d’Italia as part of his build up to Beijing. In August he took his first Olympic gold as Great Britain dominated on the boards, and set a world record to boot. In 2009 Cavendish’s star continued to rise, as Thomas seemed to stall on the road with a very quiet final year with Barloworld. At the end of 2009 he signed for Sky, an obvious move for the new British team and one that wasn’t dependent on results. 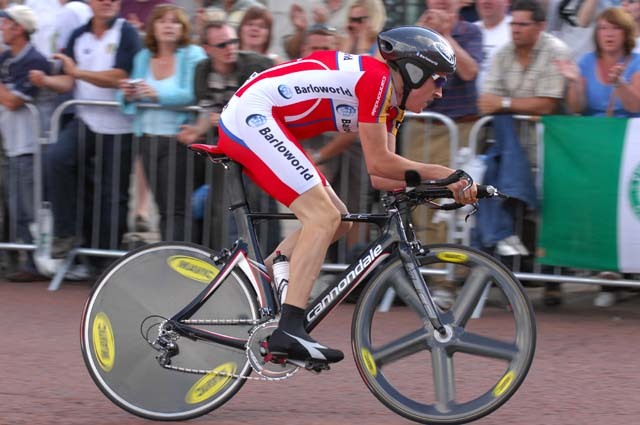 Dave Brailsford and Shane Sutton knew, like Cavendish, just how good Thomas was. 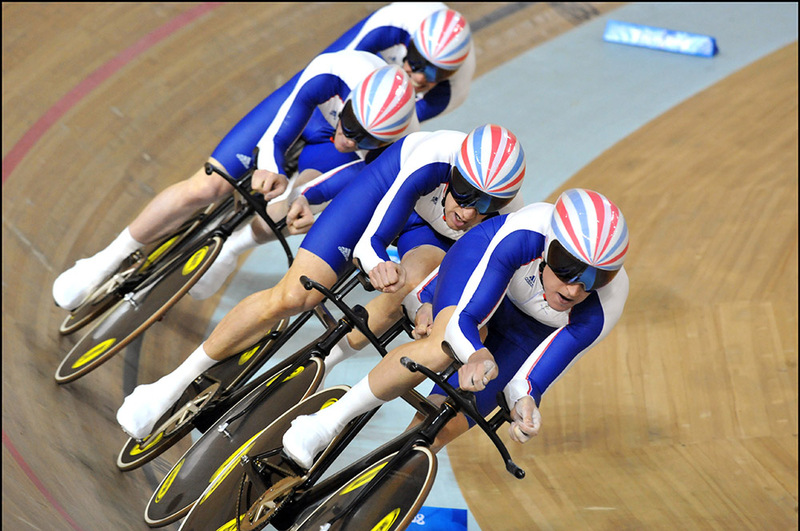 Cavendish knew because he had raced with Thomas on the track and road. He’d trained with him day in and day out on those hard days at the academy when Ellingworth’s now famous work ethic would sometimes see the riders reduced to tears. So why wasn’t Thomas getting the results? Well, he doesn’t have the sprint that Cavendish has. Neither, according to coaches at British Cycling and Sky, did Thomas himself realise just how good he was. But perhaps the main reason was his selfless nature. In 2011 we caught a few glimpses of his potential. A win at Bayern Rundfarht was a solid result, but it was at the Tour of Flanders where he really shone. Riding in the national champion’s colours won the year before, he finished tenth, despite spending most of the day working for team mate Juan Antonio Flecha. As the race reached the final kilometres Thomas was holding his own in a group of 12 that included Tom Boonen, Fabian Cancellara and Philippe Gilbert. He looked to be the stronger of the Sky pair but stuck resolutely to his duties. He eventually finished tenth. One place ahead of Flecha. Thomas’s selflessness was clear to see in subsequent years at the Tour de France. 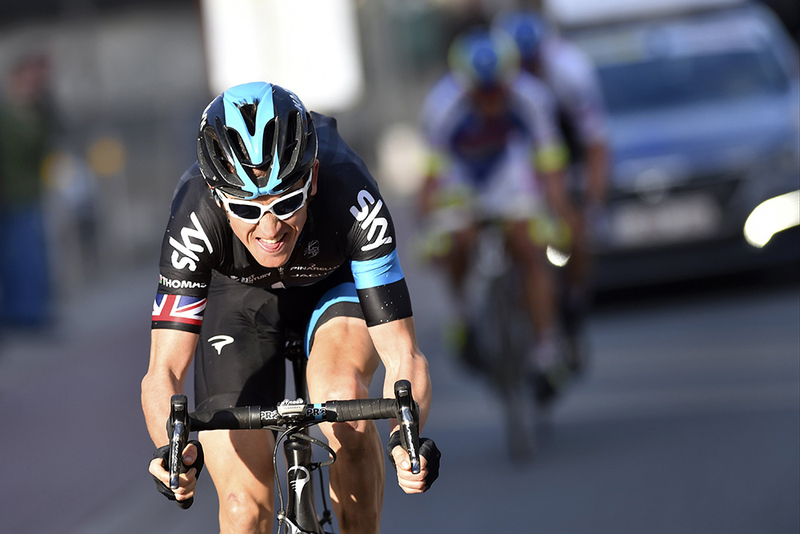 He was the only rider in Team Sky who could compete in the Classics and then ride as super domestique at the Tour. He could lead out a sprint, as he did for Edvald Boasson Hagen when he won Sky’s first Tour stage in Lisieux in 2011, and could ride on the front all day in the mountains for Chris Froome, as he did in 2013. Some small results came his way, but the fact he could be seen at the front of the peloton, year round, on any terrain, was a clear sign of his talent. Now, at last, that talent is delivering the results it was always capable of. The overall win at the Volta ao Algarve in February was followed by an impressive display at Paris-Nice. Once again, Thomas was playing the role of faithful team mate, this time to Richie Porte. Thomas finished fifth overall after the pair had taken an impressive one-two on stage four. His performance in the mini-mountains of Paris-Nice has now been followed up with a dominant win at E3 Harelbeke where he comfortably disposed of Zdenek Stybar and Peter Sagan. In this race last year Thomas looked the most under-powered in the four-man break. This year he was too strong for the rest of the field and importantly made his one and only move count. A sign of a rider on top of his game. Two days later and he was the strongest rider in Ghent-Wevelgem. After being blown clean off the road by the strong winds and crashing on the grass verge, Thomas rejoined the front group and rode down Etixx – Quick-Step’s Niki Terpstra and Stijn Vandenbergh when they attacked in the closing stages. It took the cunning of 38-year-old Luca Paolini to beat him. The two results, coming just after Paris-Nice, has put Thomas second in the WorldTour rankings behind team mate Richie Porte and represent the giant leap forward he has taken. His strength, killer instinct and tactical nous now all seem to be there. In the absence of Cancellara and Tom Boonen (and the now comical failures of Etixx), and the puzzling demise of Peter Sagan, the Welshman looks set to be the dominant Classics rider this year. To be crowned as such, he will, however, have to win either the Tour of Flanders or Paris-Roubaix, coming up over the next two weekends. Both are within his grasp. If he doesn’t grab one of them, Cavendish will no doubt struggle to get his head around that too.